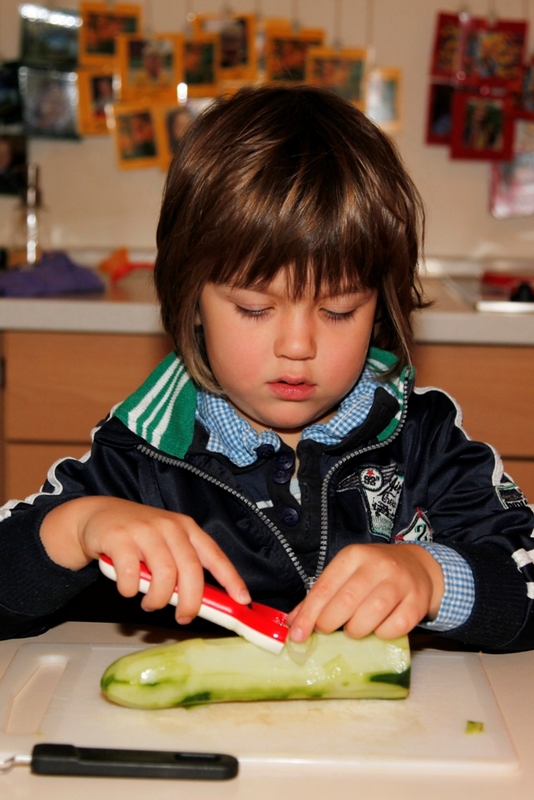 During the morning the children receive a healthy snack of fruit, vegetables, cereals or bread which they prepare themselves as part of the Montessori work cycle. In this context, the parents are alternately asked to bring in fresh food on the Monday of a specific week for their child’s group. All children at Barbara House receive a nutritionally tailored hot lunch, which is delivered from a commercial organic kitchen nearby. The components of the meal plan are varied according to the seasons and selected preferably from the region. They are, to a large extent, from controlled biological cultivation (Demeter / Bioland) and contain no artificial colours, sweeteners and additives such as flavour enhancers. Of course, the kitchen takes consideration to children with food intolerances or allergies, so that individual meals are prepared and delivered separately. Not only the organic quality of the food is especially important to us, but also the daily ritual, which the children experience in the group during lunch. We put great emphasis on politeness rules and table manners, and the children say thank together before the meal begins. The children experience a strong sense of community during our lunch and keep on growing together as a group continuously.